The question has haunted the internet for days. Days! Long, miserable, answerless days where no one was able to explain the skeletal structure of that weird, feminist Hamburger Helper glove. It was truly (and briefly) the world's foremost Hamburger Helper-based mystery. You're in the majority you've never wondered about the glove's skeletal structure. 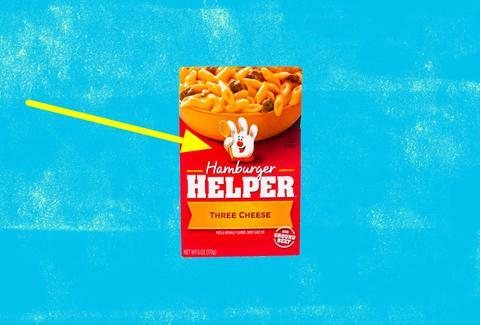 (You're probably in the majority if you have no questions at all about Hamburger Helper.) However, people on Twitter were provoked to wild speculation after a head-scratching tweet from user @soongrowtired. The user's question doesn't even start to scratch the surface of the problem once you start down this road. Where is its heart? Is it an invertebrate? Is it a cephalopod? Thankfully, the one and only account that could stuff the genie back in the bottle was Hamburger Helper itself. It ended the speculation Monday. With a question this important, there was no way one tweet could truly put the issue to bed. After the company unveiled the sentient glove's skeletal structure, more questions surfaced. Where are its giant eyes? What is going on with its knees? Why is this such an engrossing debate despite its pointlessness? Here's a taste of where the arguments wandered off to. In the end, the glove had the last word.